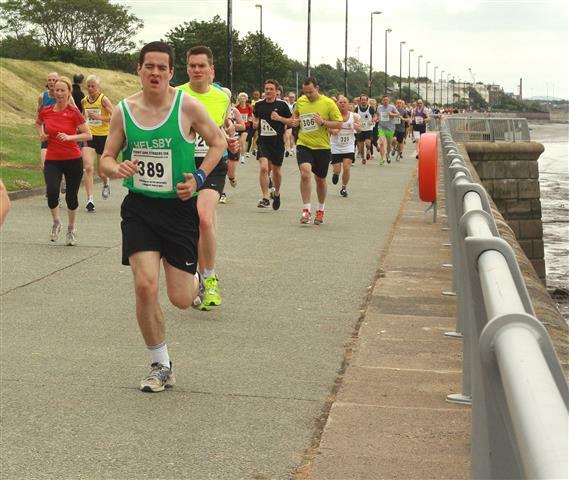 The Druid on Wednesday 16th July is always a popular race with Helsby members. Twelve green vests were out to take on the challenge of Foel Fenli with Chris Baynham-Hughes and Joe marshalling and supporting. 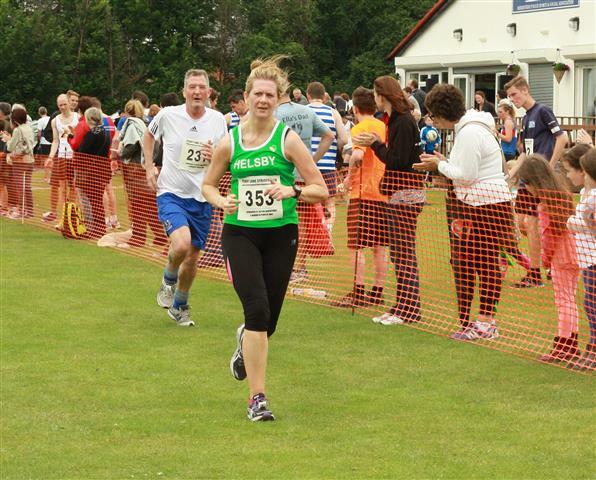 Great running from Jim O’Hara saw him 5th overall and 1st Helsby man home and Janet Robertson was first Helsby lady. Three Helsby prize winners on the night so well done to Tom, Mario and Janet for their age category wins. No official results are onlined but results should follow shortly here, if anyone wants a copy of the results in the meantime just email me and I can send them on. Also on Wednesday was the Sefton Park 5 Miler where Gary and Derek had a close race to finish a second apart. Thursday night was the Sale Sizzler with four out for Helsby with Colin Thompson first Helsby man home and Louise first Helsby lady. Onto the weekend and the most popular park run this weekend was not Delamere but the Newbury Park Run where Tim and Jenny put Helsby on the map. Tim’s Newbury excursion is detailed below! 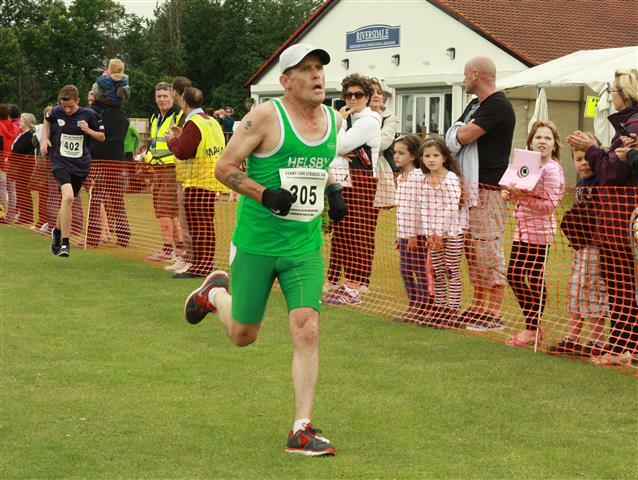 Colin Bishop who has made Delamere Park Run his own with many recent wins dominated the field again for a 1st place. 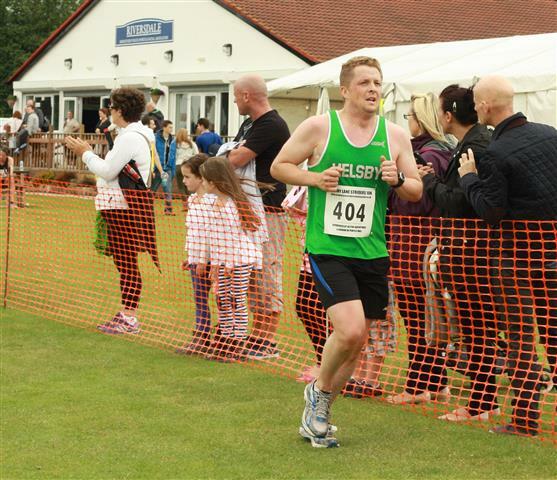 Similarly, in the Warrington Park Run Colin Thompson raced round for another Helsby victory. Jayne Joy our International Star was selected for an invite only race, the ‘Snowdon Super Cup’ which is part of the Snowdon Mountain race weekend. Weather conditions meant a delayed start and a shortened course, so a different day than was expected for Jayne. Great support from Mario and Joe at the halfway café’ really buoyed Jayne on to be 9th female in a very elite field of athletes. Another proud day for Helsby. “As you travel up to the Lakes and just north of Lancaster, there is a limestone outcrop to the west of the M6, this is called Warton Crag and the location for the aptly named Warton Crag fell race. The race is on the same day as Warton sports and carnival; the good people of Warton really go to town with a parade of floats, stalls, teas and cakes and some sports, the highlight of which is the fell race. Burtonwood 5 Miler cancelled due to necessity for road closures, details below. Roy was first in for Helsby at Sundays Penny Lane Striders 10k and Jane Ashbrook first Helsby lady as well as first in her age category. Great running everyone on what would have been a hot day. as always, if I’ve missed an event then do let me know as I can update the blog as necessary. Wedneday 30th July, in the clubhouse after our club run, Jayne Joy will be giving a talk on Eating Disorders in Sport, chip butties provided!! Please come along to the third in our series of club talks on running related subjects. It was the Delamere Park Run on Saturday morning which saw Steve Riley first in for Helsby and 24th place followed by three rising stars in Helsby ladies section all establishing PB’s for the course! Eleven out for Helsby so it was a good local showing of the green vest. “I ran the Lakes 10 Peaks race on Saturday, which I think may be the hardest 1-day race in the country. 106 started, and 34 didn’t make it to the finish, which is the lowest drop-out rate they’ve had yet – conditions were quite good in the Lakes, which is probably why so many finished. 44 miles and 16300 feet of climbing (the way I went anyway), taking in the highest 10 peaks in the Lakes. It was a brilliant day out, and I’ll try to write a proper report for the blog when I’ve got a few minutes. I’m still pretty tired just now. I finished 8th out of 72 finishers, in 14:55:09, winner’s time 13:02:47, so I’m feeling pretty pleased with myself!” Results here. Sunday was Callow, a race which I’m sure is fondly remembered by those who did it as a club counter last year! Taking in the four climbs of Ashes, Yearlet, Grindle and Callow in Church Stretton were Jayne and Adair. Best not put ‘autopause when stopped’ as a setting on your Garmin though as your Garmin thinks you have actually stopped as you trundle your way up the climbs.